Award winning silicone lubricant. Long lasting, durable, sensational lubricant for all types of play. Only available at the best adult store Australia. My partner and I tried this for the first time and I have to agree it is the best lube we have used. 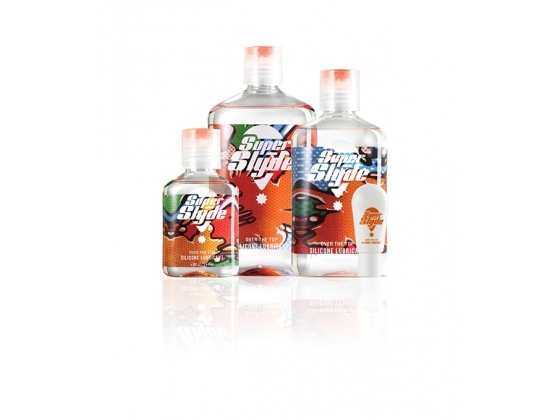 Superslyde is one of the highest quality silicone lubricants on the market. This 100ml bottle is the perfect size to take with you on long weekends, romantic getaways and to have on the bedside table. So what makes Superslyde so unique? 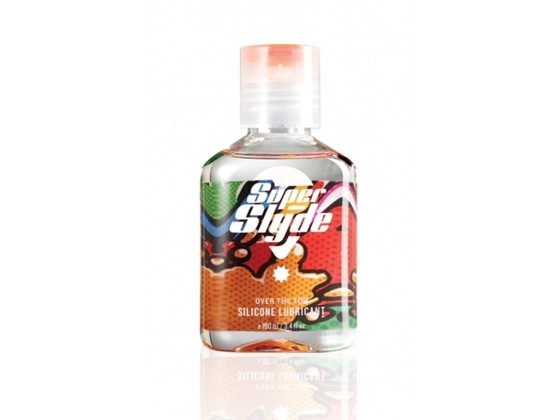 There are a lot of lubricants around that are quite thick - because silicone lubricant stays put on the skin and acts as a silky barrier, a thicker silicone lubricant can in some cases decrease the level of sensitivty that you have during intimate moments, Superslyde has a very thin, extremely durable viscosity and can be used in pretty much every intimate situation. Its unique one hand and no drip dispenser makes it extremely easy to apply in the heat of the moment. SuperSlyde is made under strict certified-GMP conditions, giving you the assurance of quality and safety. It is affordable yet of the highest quality and is now one of the top selling lubricants in Asia. Trust us when we say that this is one lubricant that you don't want to let slip out of your fingers. Get yours now. 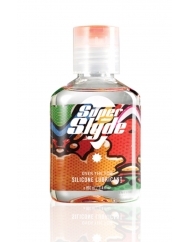 Superslyde is the best silicone personal lubricant on the market. Winner of the prestigious Eros Fame award for Best Lotion or Potion in Australia for 2013 if beat off all the regular top shelf competitors. In blind tests 9 out of 10 participants preferred Superslyde over other leading brands and 7 out of 10 said it would now be their lubricant of choice.